Knowledge that can radically change lives is a potent form of knowledge that cuts across categories and barriers — that’s been the key to Pratham’s success for more than 20 years, and it’s also the reason why the Mumbai-based organization and 2010 Kravis Prize recipient has been selected for a 2013 Frontiers of Knowledge Award from the BBVA Foundation. The award includes a cash prize of €400,000 (approx. $570,000). 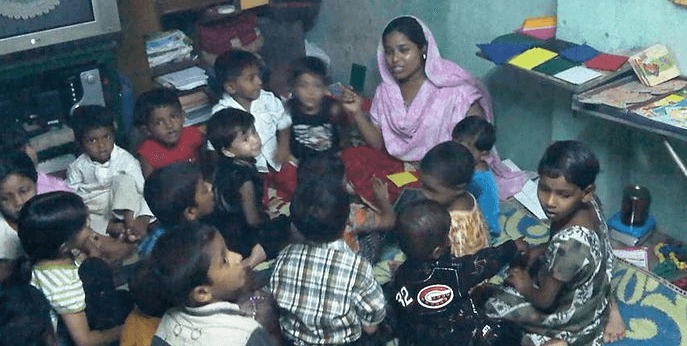 Though Pratham has been in operation in India since 1994, its profile outside the country remained relatively low until the awarding of the Henry R. Kravis Prize in Leadership in 2010. In the years since that award in recognition of the NGO’s work on improving literacy with programs such as Read India, Pratham has gone on to receive several more major international awards, including the WISE Prize and the TOI (Times of India) Social Impact Award, and raise greater awareness in the world community. A year ahead of its tenth anniversary (in 2015), the Henry R. Kravis Prize in Leadership honored its 10th recipient, Helen Keller International, during an awards luncheon and dinner held in March at CMC’s Marian Miner Cook Athenaeum. HKI President Kathy Spahn received the award, presented to her by Marie-Josee and Henry Kravis ’67. Spahn also discussed her organization’s global work not only to treat preventable forms of blindness, but also to develop micro-finance efforts and sustainable economic structures for small, impoverished communities. Can sweat shops exist if there were no people needing that job?